See scan - perfect condition. 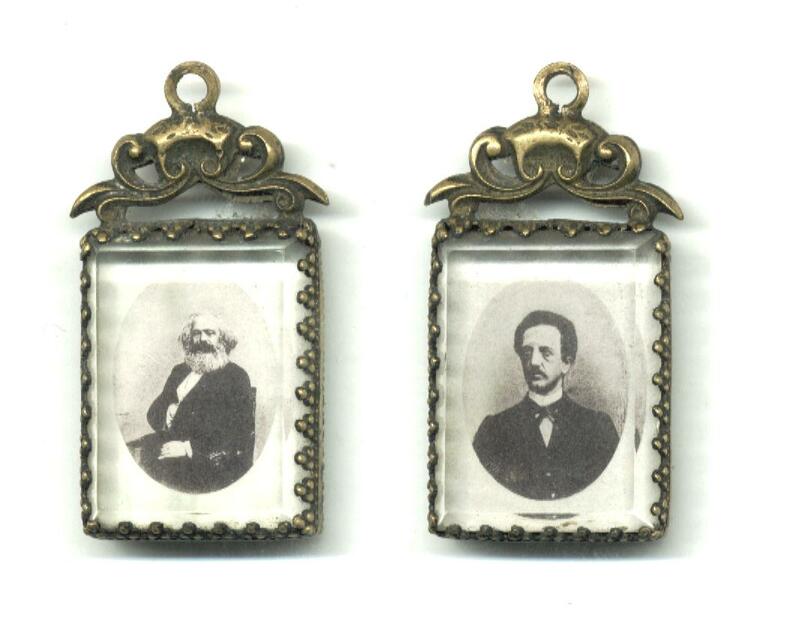 This is a scarce and rare antique and early European communist / socialist propaganda two sided bronze pendant with real photo / photographs of Karl Marx on one side and Ferdinand Lasalle on the other. 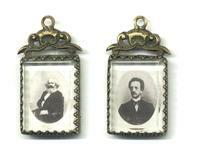 The photos are framed under thick crystal or glass and the whole piece measures 40mm x 22mm and about 9mm thick. 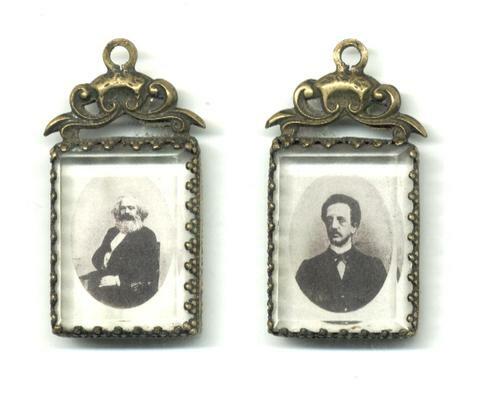 Absolutely scarce propaganda collector piece and one of the rare earliest communist / socialist propaganda jewelry / jewellery.